Today, it is Rolex’s sport watch lines that receive much of the attention from the collecting world. However, many would argue that the quintessential Rolex timepiece is not one of their highly regarded, sport-specific models, but rather one of their simple and sturdy watches intended for regular, everyday life. The Oyster Perpetual and the Datejust are both amazing timepieces. 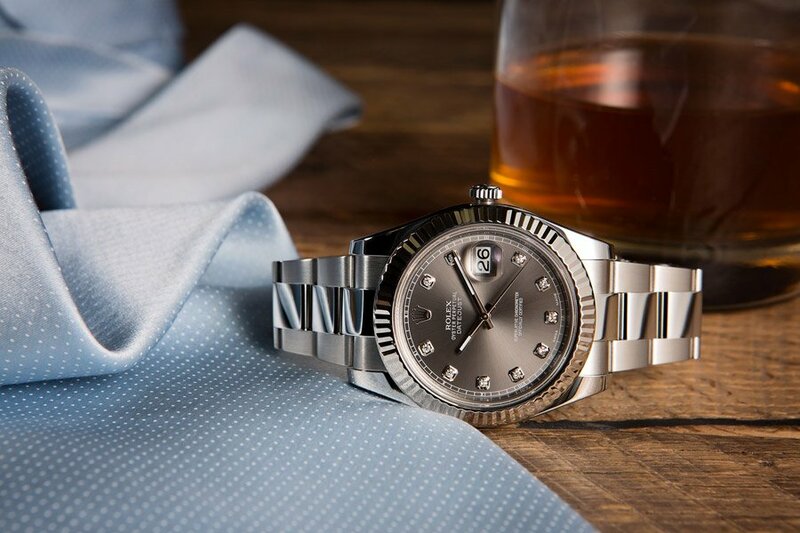 Although they do not contain any special features or complications that would make them especially suited to one specific sport of environment, Rolex’s Datejust and Oyster Perpetual lines of watches are the modern incarnations of the original, highly-durable timepieces upon which Rolex built their now-legendary reputation. Nearly every watch that Rolex currently manufactures has the words “Oyster Perpetual” printed on the dial to denote that the watch is self-winding, and that crown and case-back screw down for water resistance. However, one line of watches is actually called the Oyster Perpetual, and it represents Rolex’s oldest and longest-running offering. The Oyster Perpetual has always been a staple in any man’s watch box. The modern Oyster Perpetual is available in five different sizes, ranging from 26 mm to 39 mm in diameter. However, no options for different bezels, bracelets, or precious metals exist. Craft from stainless steel and fitted with a matching Oyster-style bracelet, the classic Oyster Perpetual displays nothing more than the time of day. 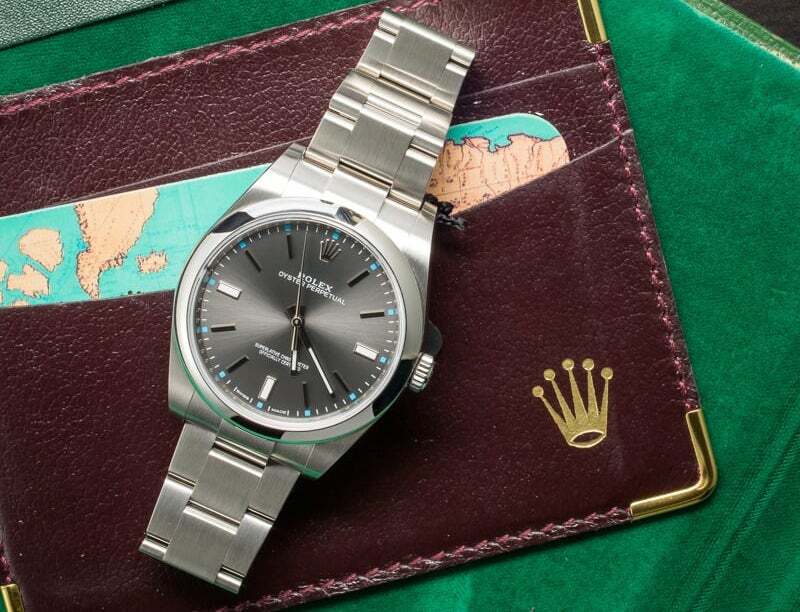 While it occupies an entry-level position within the Rolex lineup, the Oyster Perpetual is very much the contemporary equivalent of the very first, self-winding Rolex watches that were manufactured almost a century ago. For those who appreciate the classic and highly versatile styling of the Oyster Perpetual, but who would also benefit from the addition of a date display on their watches, the Datejust is an ideal choice that combines all of the features of the Oyster Perpetual with a few additional options and functions to provide users with a more premium package and some added utility. While the Oyster Perpetual does not have a date complication, it is still a great Rolex. 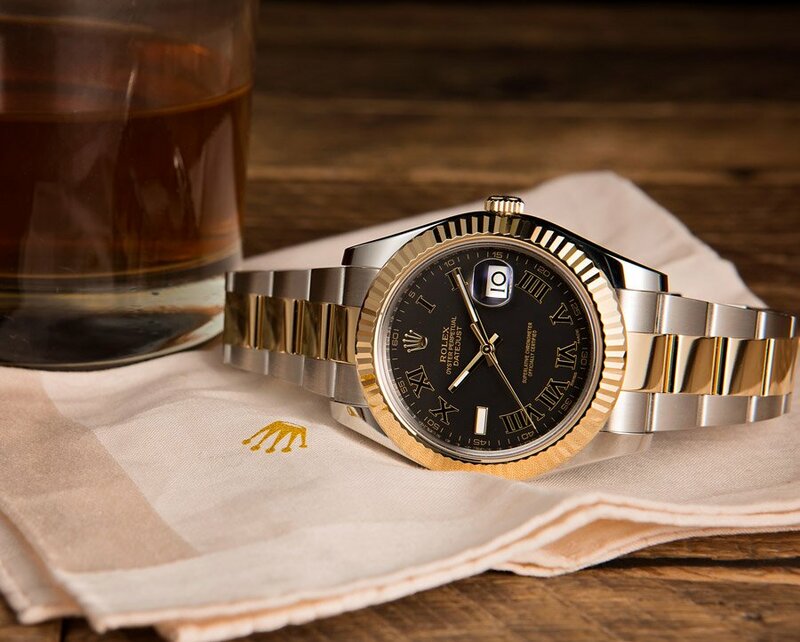 First introduced in 1945 to celebrate the company’s 40th anniversary, the Rolex Datejust has remained largely unchanged throughout the many decades that it has been in production. Although it has seen a variety of movement upgrades and subtle design alterations over the years, the classic Datejust is still very much the same watch that it was when it was first released over seventy years ago. 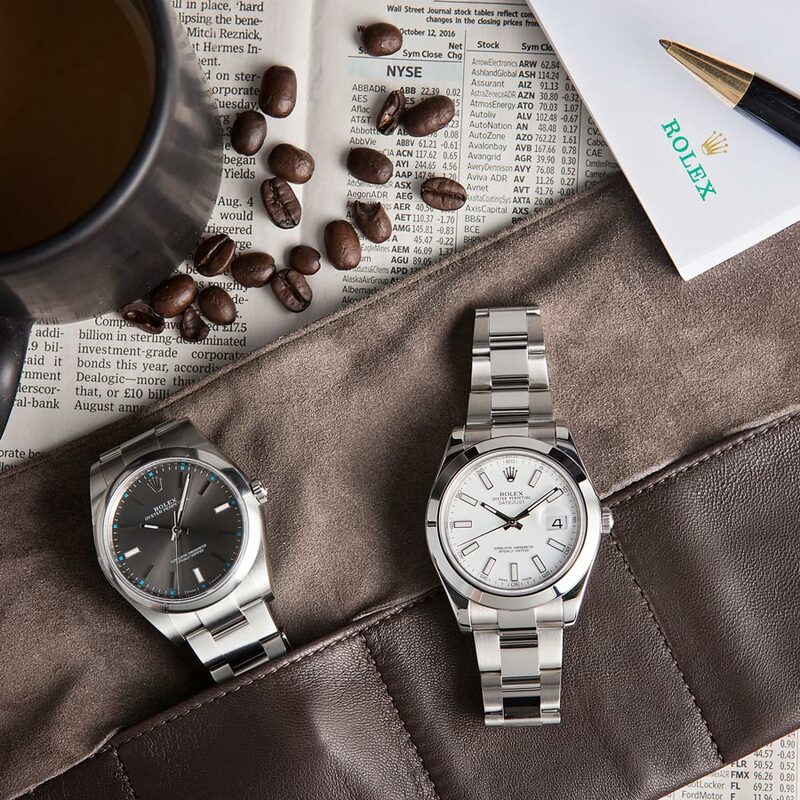 No other line of Rolex watches is available with as many different dial, bezel, bracelet, and precious metal options as the Datejust. While diamond-set, 18-karat gold variants of the Datejust do exist, there are also a plethora of stainless steel Datejust options that are simple and understated enough to be worn everyday without attracting any unwanted attention. There are many variations of the Datejust, some are even set with diamonds. 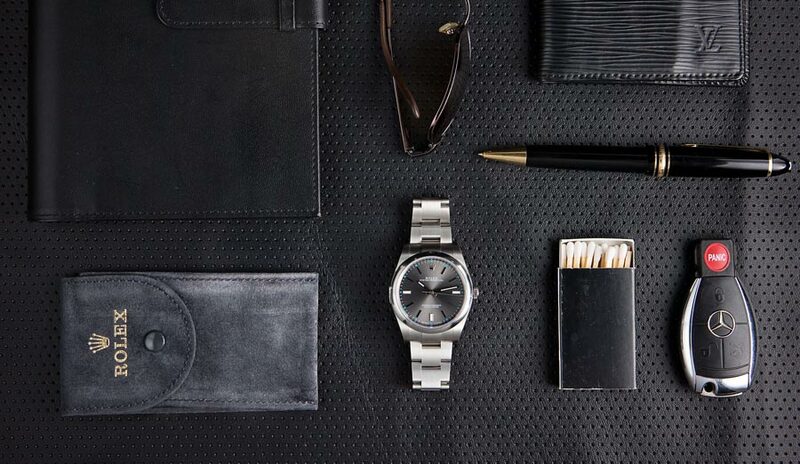 With simple yet practical feature sets, timeless designs, and 100 meters of water resistance, both the Oyster Perpetual and Datejust are highly versatile watches that were designed to be worn everyday – throughout the wide range of settings and conditions that one might encounter in day-to-day life. This unparalleled versatility is part of the reason why both lines of watches have remained in production since their initial release, and why many would argue that they are the modern equivalents of the classic Rolex timepiece. There are many versions of the Datejust, this one has a Roman numeral dial.